These hee-hawing, long-eared animals are very interesting! How much do you know about mules? Mules definitely know how to capture attention. It could be their long ears and loud hee-haw, or maybe it’s their strong work ethic and courage. Regardless, this interesting equine has a home in many barns. You can find them in the arena, on the trails, and working in the fields. Here’s your chance to learn some facts about this cool animal! They are a hybrid between a horse or pony and a donkey. It doesn’t matter what gender the horse or donkey is, just one of each. However, a female donkey and male horse is often called a hinny. The two crosses tend to vary in appearance. 2. How are they different from horses? A mule only has 63 chromosomes compared to the 64 that horses have. This odd number makes them sterile. While they may look very similar, mules have different muscle composition. They’re stronger for their size. While a lot of their athletic ability comes from their horse parent, their intelligence is often from the donkey side. 3. What are some common characteristics? 4. Can they be trained like horses? These equines are far too smart to be treated poorly. The best training approach is one focused on kindness and respect. 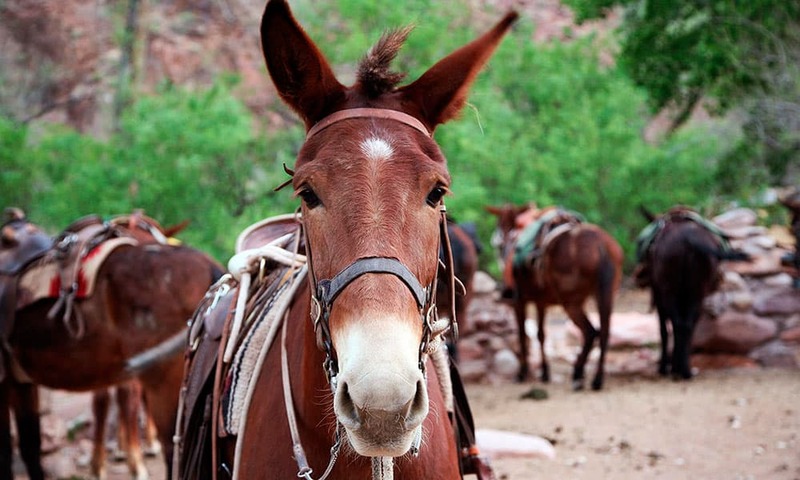 Unlike a horse, a mule has a high level of self-preservation. They can put up a lot of resistance if they don’t like what’s happening. Ultimately, you can train a mule in nearly any discipline though. 5. Mules can live a long life! They are easily found working in their thirties and can live through their forties. However, they’re slower to mature both physically and mentally. Adding a mule to the barn family can be a great choice!